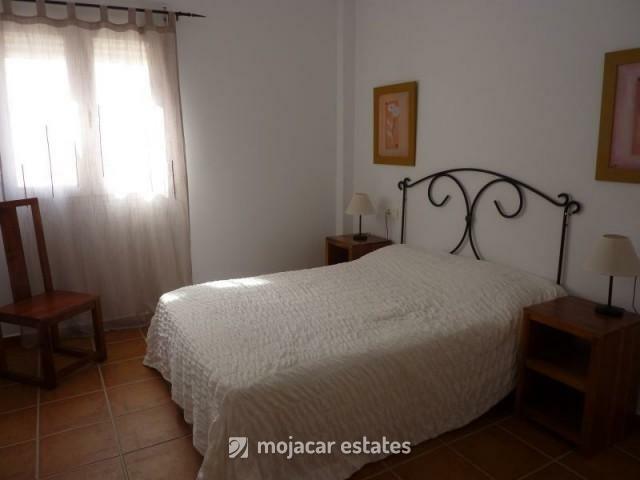 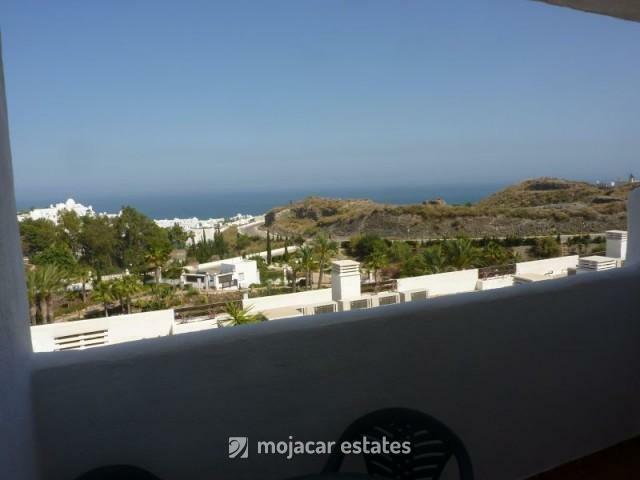 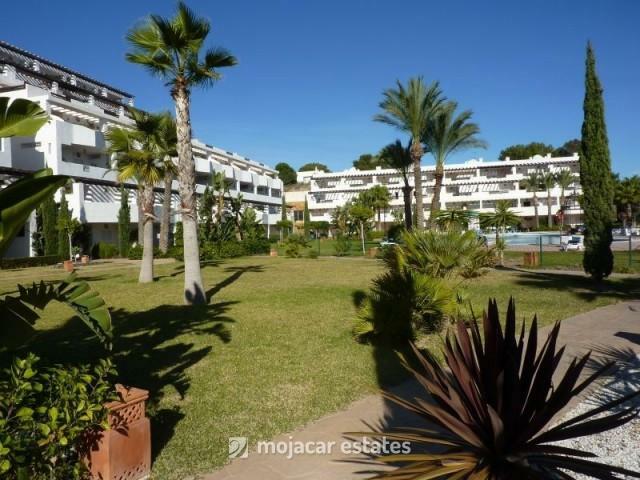 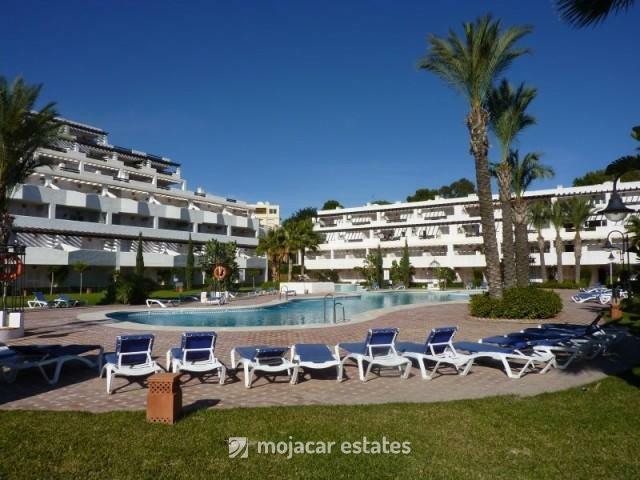 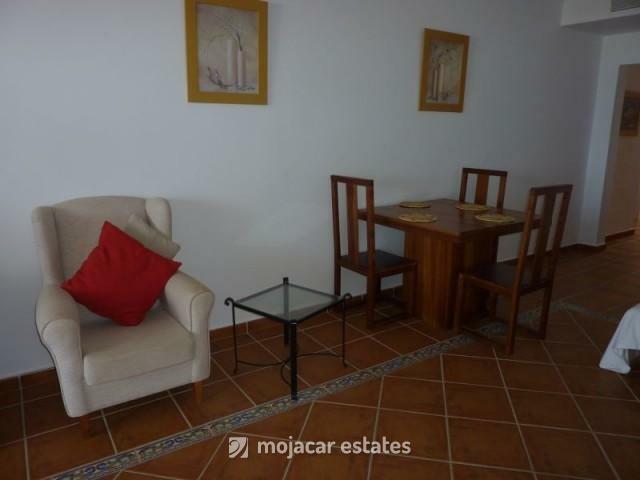 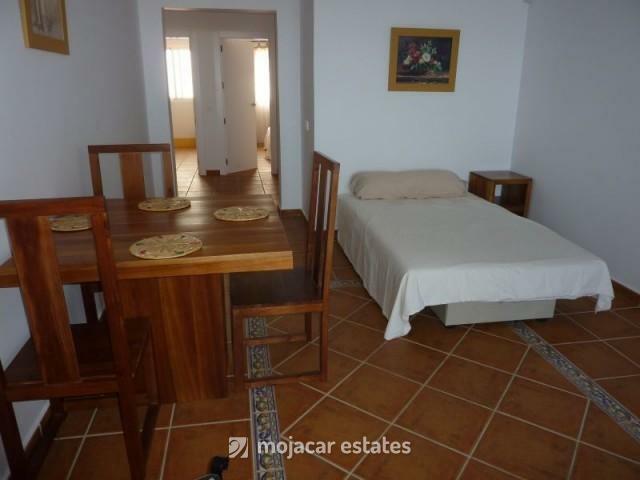 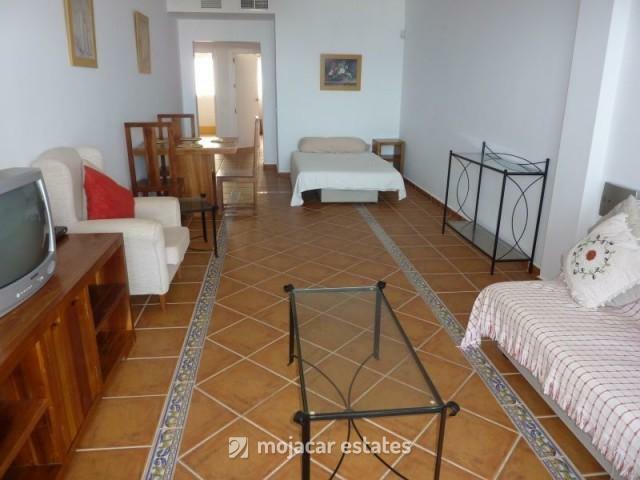 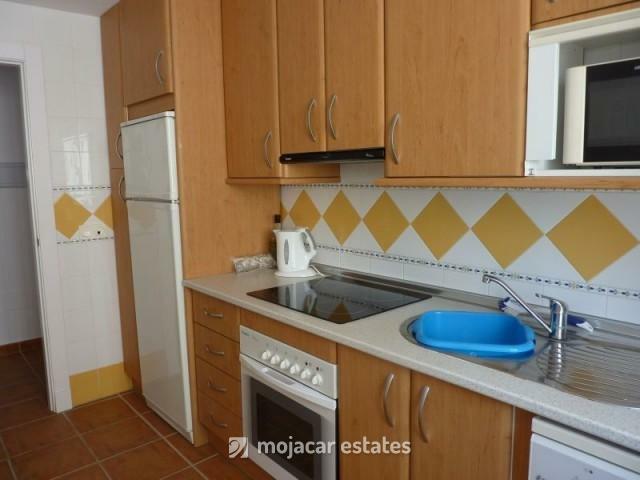 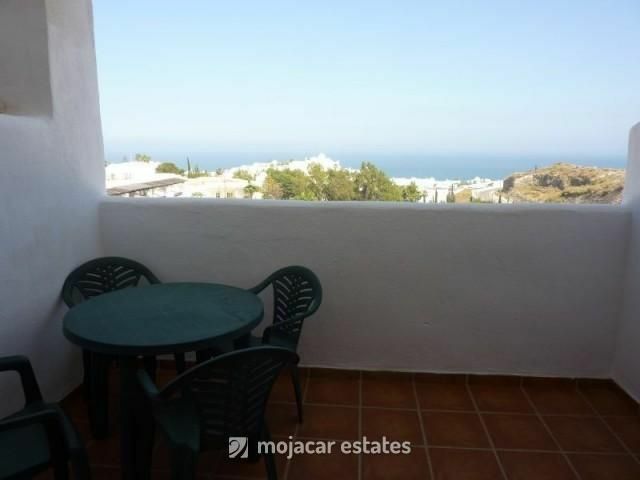 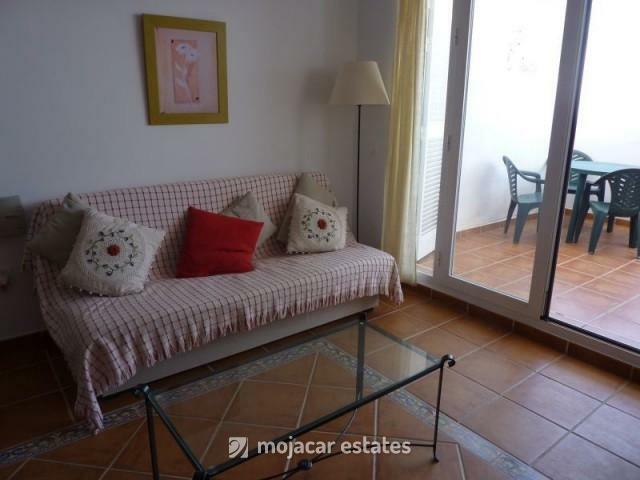 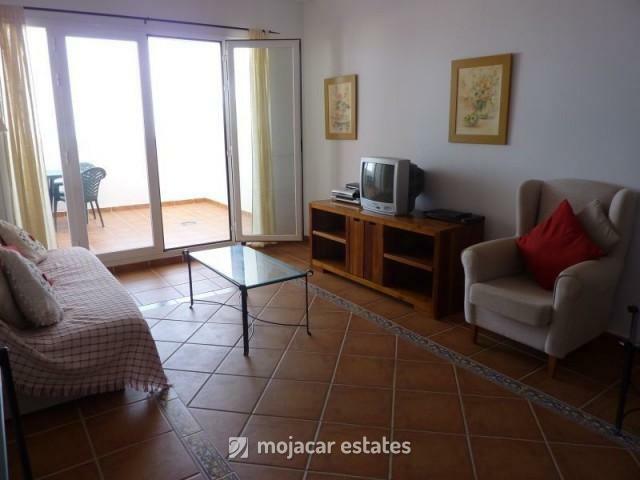 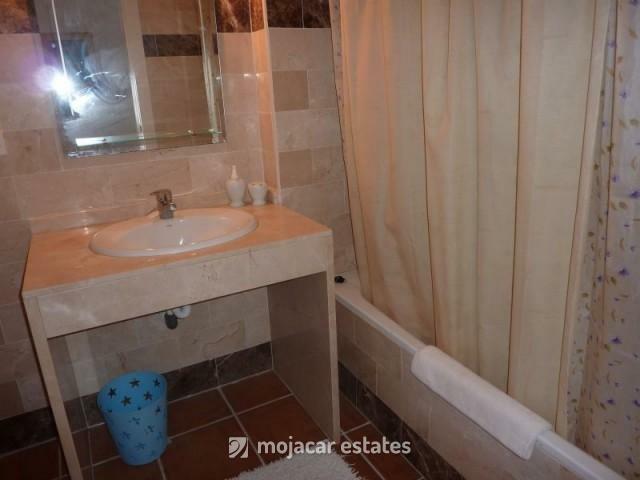 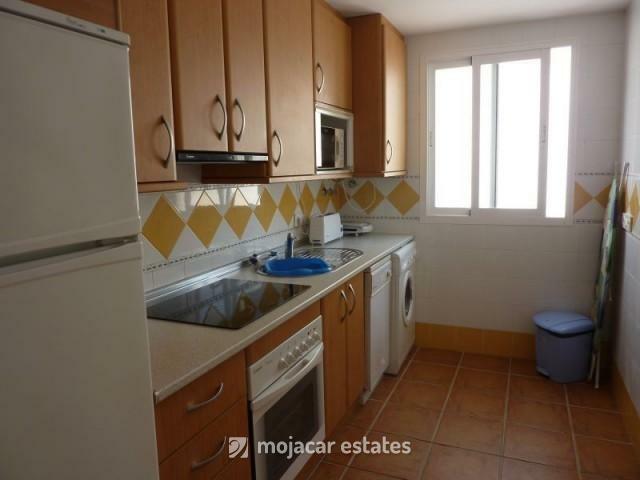 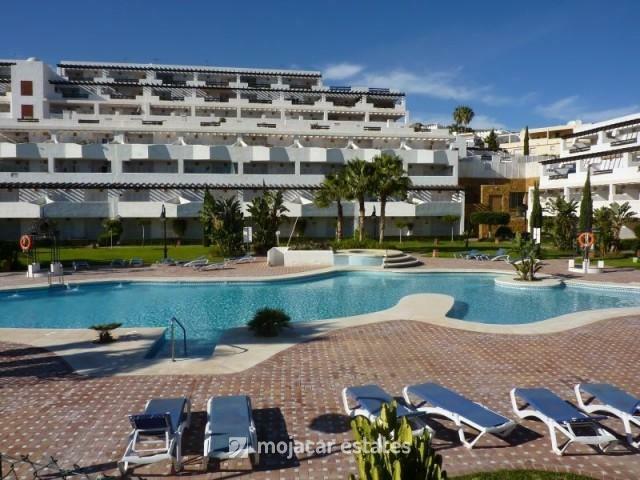 Very large 1 bed apartment with 2nd double bed in lounge for a max of 3 people in community with pool in Mojacar Playa. 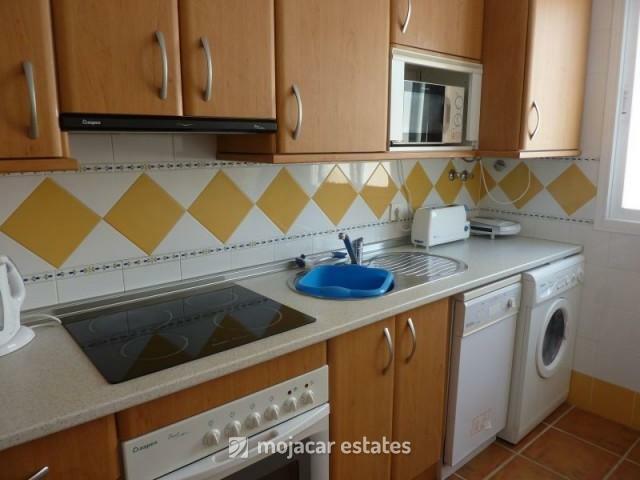 There is a fully fitted kitchen with washer-drier and dishwasher. 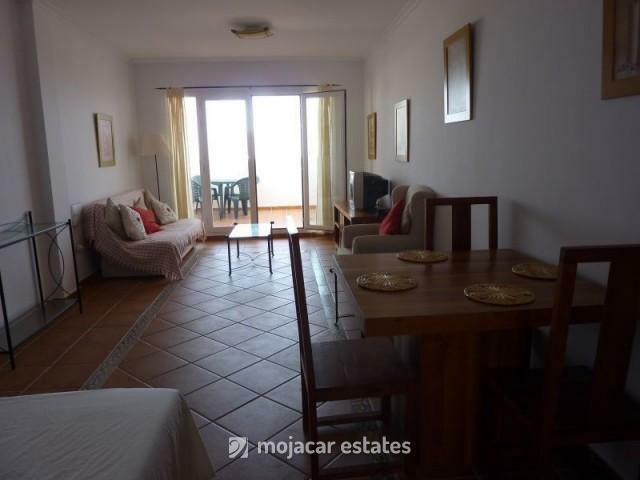 Bedroom with double bed and fitted wardrobe, full bathroom and extra large lounge with dining area and access to terrace with sea views.